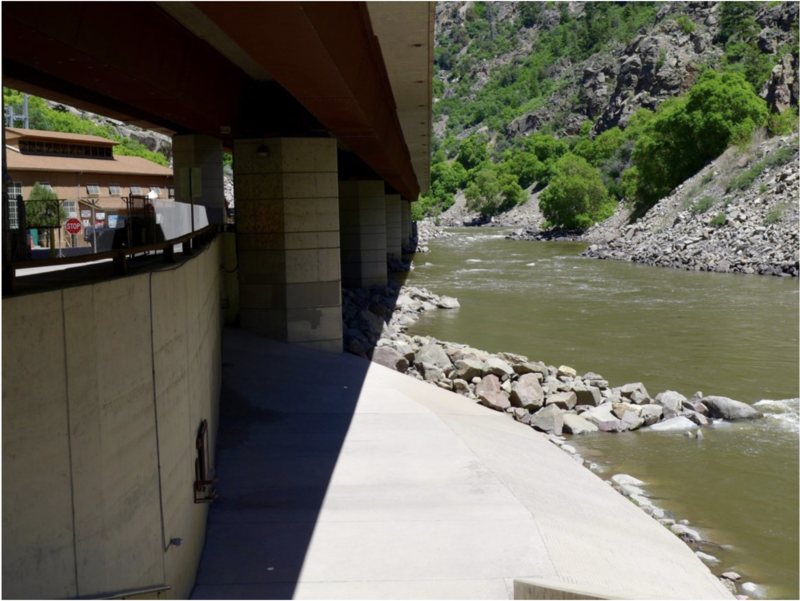 Even as successive snowstorms obliterated drought conditions in the state of Colorado, the states that share the Colorado River put the final touches on a plan to use less water. On March 19, representatives from California, Arizona, Nevada, Utah, New Mexico, Wyoming, Utah and Colorado asked Congress to approve their “Drought Contingency Plan.” Congressed obliged, and [the President] added his signature on April 16. The lightning speed with which the Drought Contingency Plan was approved in contentious Washington, D.C. reflects the plan’s importance. Over the past two decades, water use from the river has regularly exceed inputs from snow and rain, leading water levels in Lakes Mead and Powell to drop perilously low. The risk is most acute for the downstream states, because if water levels get too low at Lake Mead, no one but Las Vegas will be able to get any of their Colorado River water out. 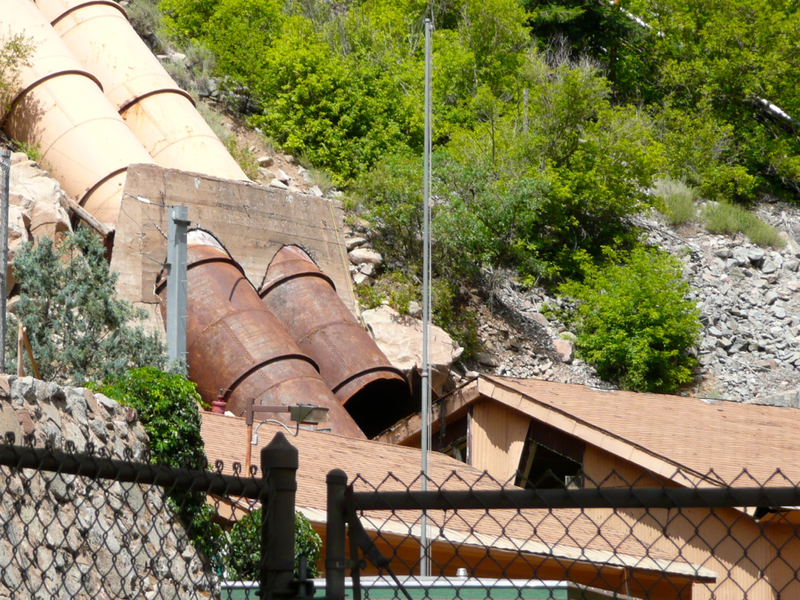 Las Vegas has spent billions on an intake at the bottom of the lake, just in case. Because of that risk, the lower basin portion of the plan has a detailed schedule of delivery cuts triggered by different lake elevations. Until the snowstorms really picked up this year, the first trigger was expected to come in 2020. Here in Colorado and the other upstream states, we catch whatever water falls from the sky on its way to Lake Powell. 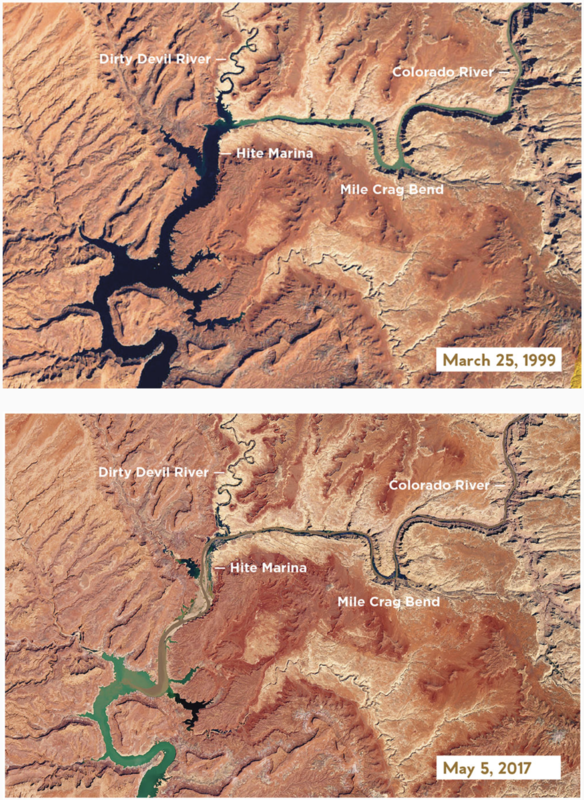 Water in Lake Powell is mainly useful to us for generating hydropower (and money from hydropower, which is spent on infrastructure and environmental projects) and for keeping us out of trouble with our obligations to the downstream states. Releases to the lower basin have always met or exceeded the requirements in the 1922 compact between the states, and the obligation is calculated on a 10-year rolling average. 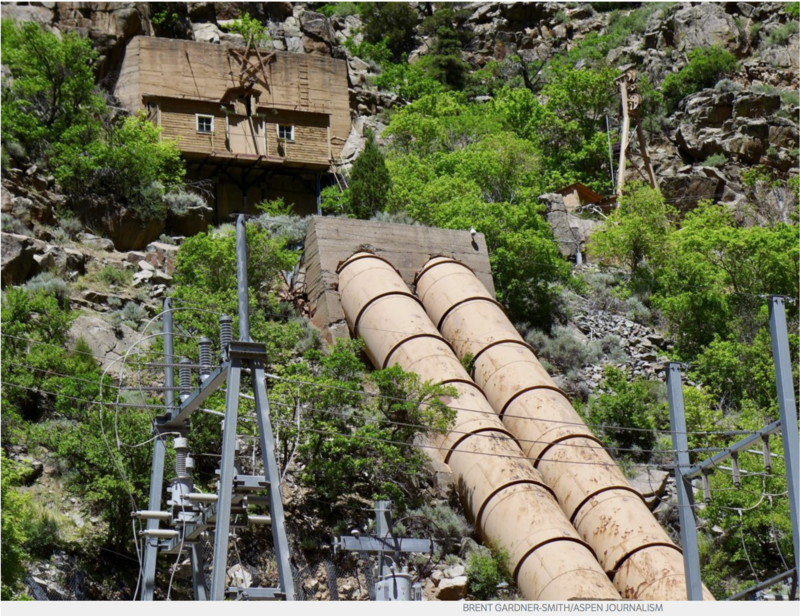 The threat of having to cut upper basin water uses to comply with the compact is therefore somewhat distant and shrouded in both hydrologic and legal uncertainties. Because the upper basin risk is less immediate, the upper basin portion of the Drought Contingency Plan is less tangible. It is a “plan to plan,” outlining processes for making extra releases from upstream reservoirs under certain conditions, and for developing a special account in Powell for conserved water. Water in this special account would be protected from releases to Mead under normal operations to balance water levels in the reservoirs. The conserved water pool in Powell can’t be used unless a “Demand Management” plan is developed and unanimously agreed to by all four upper basin states. 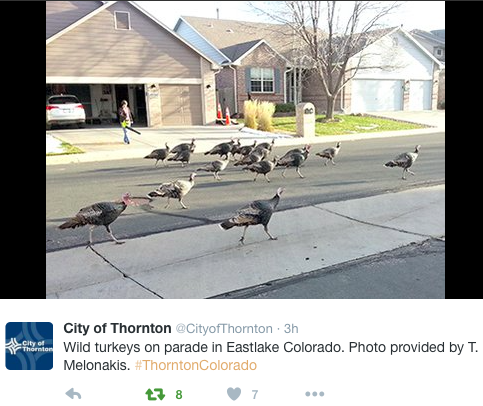 Colorado officials are currently gathering input on what such a plan should look like. Based on what they’ve already heard, fundamental criteria are that any Demand Management Plan would be based on voluntary, temporary and compensated water use reductions: no one would be forced, no uses would be permanently retired, and whoever participates will get paid for it. It seems obvious that it’s a good idea to start building a savings account little by little through modest, deliberate, compensated water use cuts in order to avoid large, mandatory, uncompensated cuts in the future. 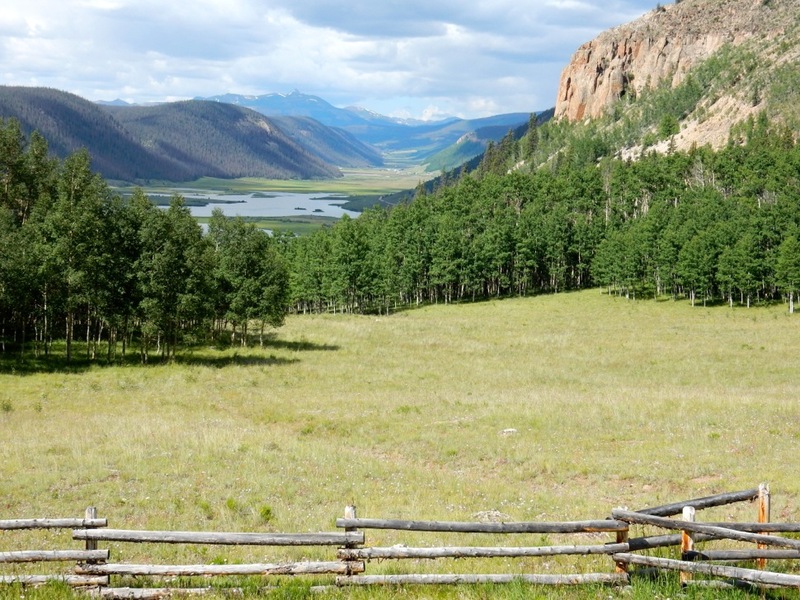 But important concerns have been raised about how water use cuts would be balanced between the West Slope and East Slope, between urban and agricultural users, and between different West Slope basins. 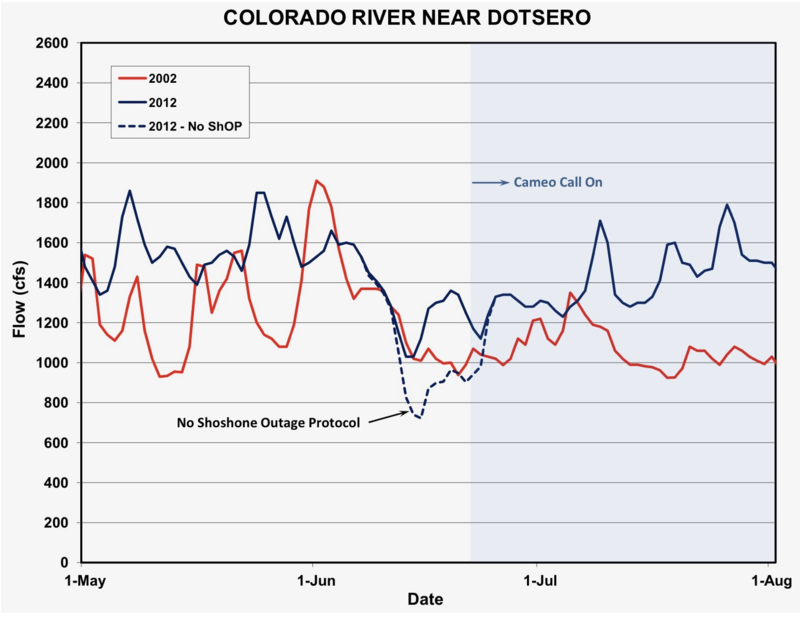 Since agriculture is the biggest user of Colorado River water, it is almost certain that under any Demand Management Plan, agricultural water use will decline, even if cities are roped into sharing some of the burden. That’s a tough pill for a lot of people to swallow. It sometimes seems like proactively cutting water use is just too unpleasant and complicated, and maybe doing nothing would be better. But the Drought Contingency Plan was developed for a reason. There’s less water in the river than there used to be, and our long-term warming trend suggests that there will be even less in the future. Last year’s miserable snowpack showed us our vulnerabilities. 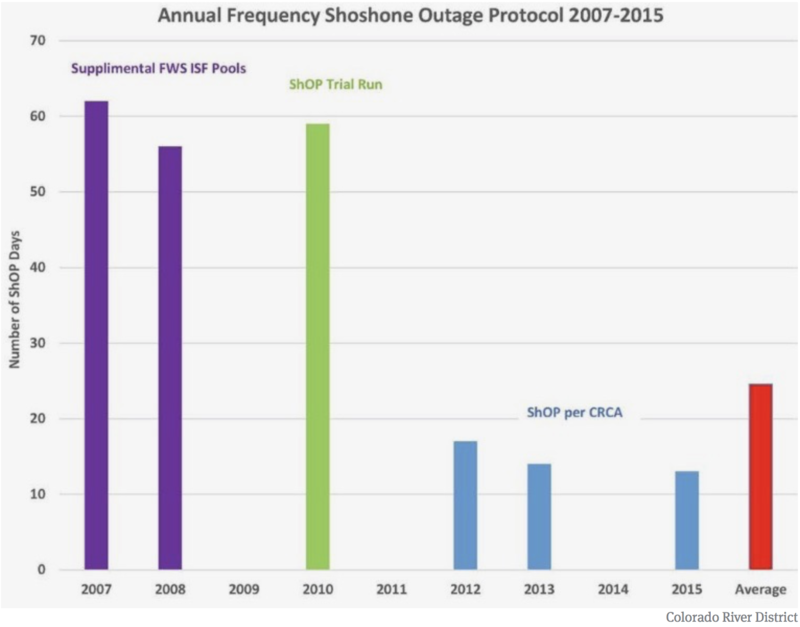 If the snow hadn’t come back this year, even Grand Valley farmers served by big ditches with senior rights and reservoir storage upstream would have been forced to cut their water use over the coming summer, despite a lack of compact compliance problems. And no one would have paid them for it. At some point, we will get two really bad snow years in a row. Participation in a voluntary, temporary, compensated Demand Management program may, if done right, help fund investments in technology and crop alternatives that enhance local farmers’ ability to stay viable when less water is available. This will benefit our entire community, regardless of whether the shortage results from downstream obligations or nature’s failure to provide. American Avocets in the Salton Sea. Photo: David Tipling/NPL/Minden Pictures. Screen shot American Audobon Society western water website, October 4, 2017. On the same day President Trump signed the Drought Contingency Plan into law, Imperial Irrigation District filed a petition in Los Angeles Superior Court alleging violations of the California Environmental Quality Act by the Metropolitan Water District of Southern California. The petition calls on the court to suspend approvals and actions related to the Lower Basin Drought Contingency Plan until such time that an appropriate CEQA analysis and process has been completed. IID’s petition alleges that MWD violated CEQA principles by committing to enter into agreements, on behalf of itself and all other California contractors, which will require MWD to forgo diverting up to hundreds of thousands of acre-feet of water annually from the Colorado River without considering how it will make up the shortfall. “Metropolitan engaged in a prejudicial abuse of discretion and failed to proceed in the manner required by law,” wrongly determining that the DCP approvals were exempt from environmental laws, the suit continues. Without IID’s participation, the Bureau of Reclamation and state water officials, including California, signed the DCP on March 19. While IID worked to be a partner in the DCP process, the district objected, citing environmental issues posed at the Salton Sea and lack of federal funding commitments for the state’s 10-year Salton Sea Management Plan. The district maintains that the Salton Sea is an integral part of the Colorado River system and its decline presents a severe public health and environmental crisis for the Imperial and Coachella valleys and the state. IID has pointed out that MWD’s obligation to the river, under this DCP, could be over 2 million acre-feet. Click here to view IID’s Verified Petition for Writ of Mandate. 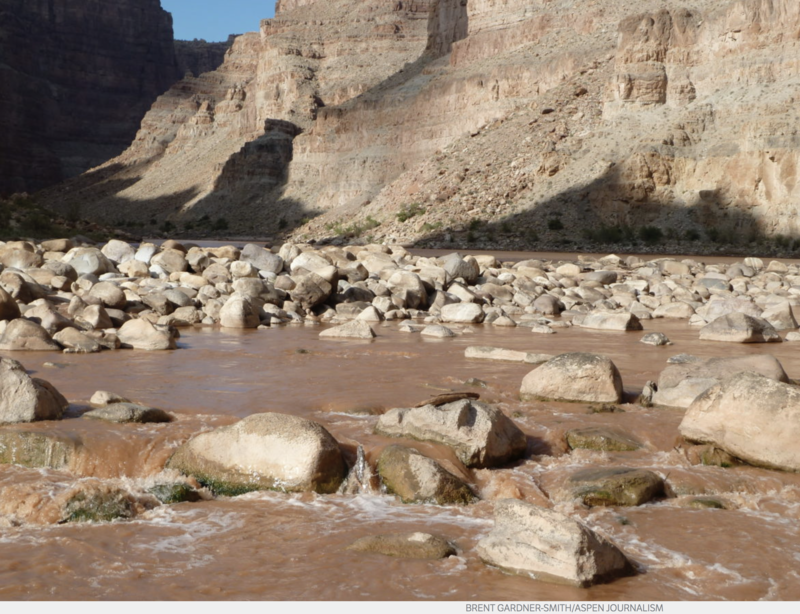 Low flows on the Colorado River in Cataract Canyon. 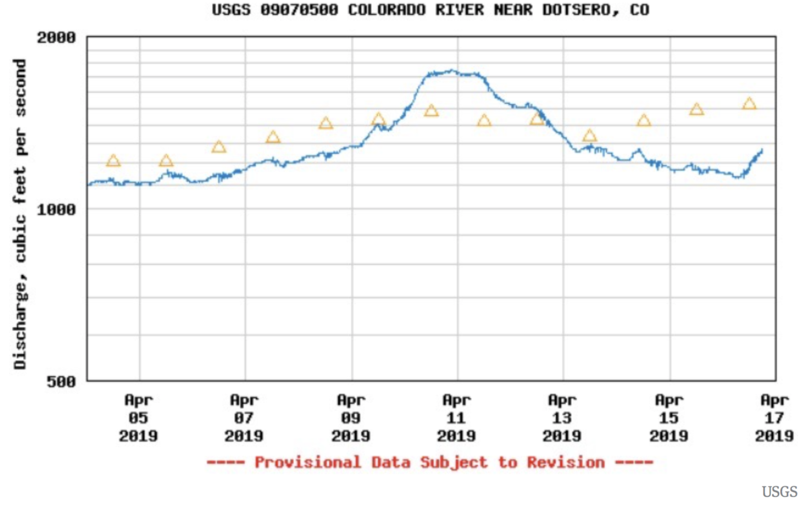 Flows on the Colorado have always risen and fallen seasonally, but water managers in the west now firmly see a future with less water overall to work with. Today, President Trump signed a law authorizing a Drought Contingency Plan (DCP) to protect the Colorado River, following the bill’s passage through Congress with bipartisan support. The law, which follows years of negotiations and effort among the seven Colorado River basin states, will allow for voluntary, proactive conservation measures to take effect and bolster water levels in Lake Mead. Today, [the President] took a historic step to reduce risk on the Colorado River by signing bipartisan legislation authorizing the Department of the Interior to implement Drought Contingency Plans in the Upper and Lower Basins of the Colorado River. This action supports agriculture and protects the water supplies for 40 million people. The Colorado River is the single most important water resource in the southwestern United States and northwestern Mexico. All levels of government stepped up to address the Basin’s worst drought in recorded history. We’ve seen collaborative efforts among the seven Basin states, local water agencies, Tribes, Mexico and the Department of the Interior. Congress took prompt action on implementing legislation for the Drought Contingency Plans, and the President acted swiftly to sign that legislation into law. Adopting consensus-based DCPs is the best path toward safeguarding this critical water supply. …[the] signing comes just over a week after Congress fast-tracked bills through the U.S. House of Representatives and the Senate. Rep. Raul Grijalva, D-Ariz., and Sen. Martha McSally, R-Ariz., led those efforts and introduced identical bills endorsing the plan. The one-page measure [the President] signed was not the drought plan itself, but legislation that allows the Bureau of Reclamation to carry out the plan. Next, representatives from Arizona and the other Colorado River basin states who had a hand in crafting the deal are expected to meet for a formal signing ceremony. The details haven’t been announced yet. This aims to protect water users from losses and prevent Lake Mead and Lake Powell from falling to critical lows. Lake Powell is 37 percent full, while Lake Mead is 41 percent full, just above a threshold that would trigger a first-ever declaration of a shortage by the federal government. 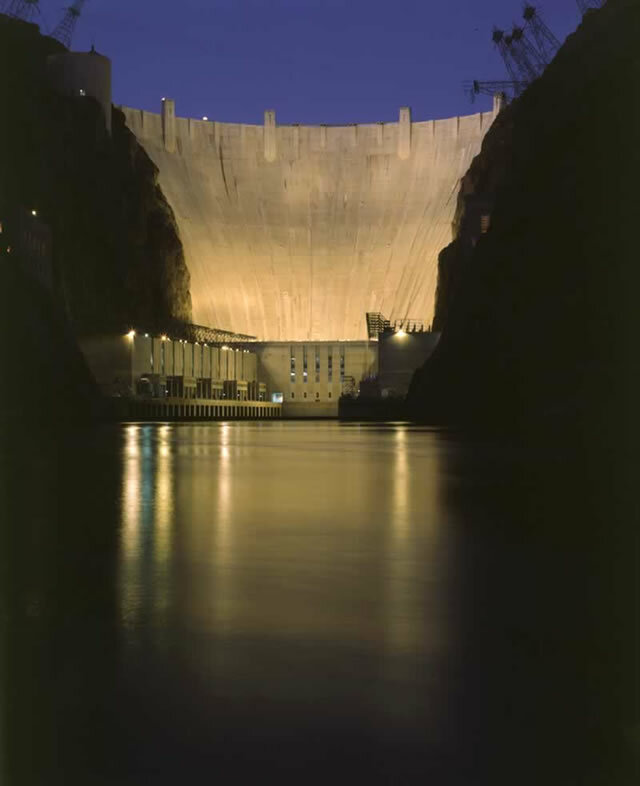 The three-state lower basin agreement, negotiated among California, Arizona and Nevada, lays out a framework for taking less water from Lake Mead and sharing in cutbacks between 2020 and 2026.